“Thompson Wright has transformed our business since joining them. From day one TW have provided information, up to date accounts, effective tax planning, business support and have delivered on every aspect that they discussed since our first meeting with them. In the past, we have experienced over promising and under delivering from other accountancy firms with little support or communication. Thompson Wright provided a clear plan of action for my business and have done exactly what they promised and more! The difference is I now sleep at night in the full knowledge that my business is safe hands and at the same time I am up to date with HMRC and I know exactly what my financial position is, something that I have not had before. Having owned my business for 15 years never before I have felt so confident in having such a pro-active and effective accountancy firm handling the financial side of my company. “Thompson Wright have acted for me for approximately 10 years and I have been so impressed by their pro-activeness that I advised my husband to change his accountants to them as well. They have done exactly what they said they would do “they have been more than just accountants”. Their business advice has been invaluable to me and their assistance in helping me make commercial decisions has been most beneficial. They have assisted me in negotiating with the bank in regards to my overdraft and loan facilities which has allowed it to be less stressful and certainly added value. “Having been established for 25 years and of a generation set in my ways, a person not for change and very much in the comfort zone, I took on board your suggestions some two years ago with an awful lot of fear and trepidation!! However, quite simply, I need not have worried or anticipated lots of work and problems as everything went extremely well. Having been with my accountants from the beginning of starting my business and obviously whilst business does well, and has done for the 25 years since I started, one doesn’t feel inclined to change. However, it is a big mistake not to be right up to date with accountancy. I am sure to move accountants and banks, is every self employed persons biggest fear. My main worries were the continuity and the transition. However, once again, I could not believe how smooth and easy everything was transferred over to yourselves and how we really only had to have a few simple phone calls and maybe a couple of meetings to make the transition. Obviously, the biggest factor of all was not being advised or assisted in money saving schemes by our accountant at the time. Having taken on board your suggestions and recommendations, the savings tax wise have been incredible and made such a difference. I also feel you keep me well informed and it is a pleasurable experience rather than another boring or daunting trip to the accountants. “Before joining Thompson Wright Chartered Accountants six years ago, X-traweld Services Limited was with an individual accountant who was simply producing a set of accounts for us each year. We decided to move accountants upon meeting Richard Thompson and realising that Thompson Wright could offer us a whole range of services we were previously not receiving, including payroll and Independent Financial Advice. Richard is brilliant because he not only helped us on the business side he also advised us a lot on the personal finance side, putting things in place to ensure we were getting the right tax benefits and making a secure grounding for the future. “I would like to thank you for your help with our company sale. I very much appreciated the way you got things moving, bringing the various party’s together and driving things forward. Most of all, I want to thank you for the personal reassurance that you gave me through your regular checkins. It was a real comfort to know that you were monitoring every step of proceedings and always watching my back. 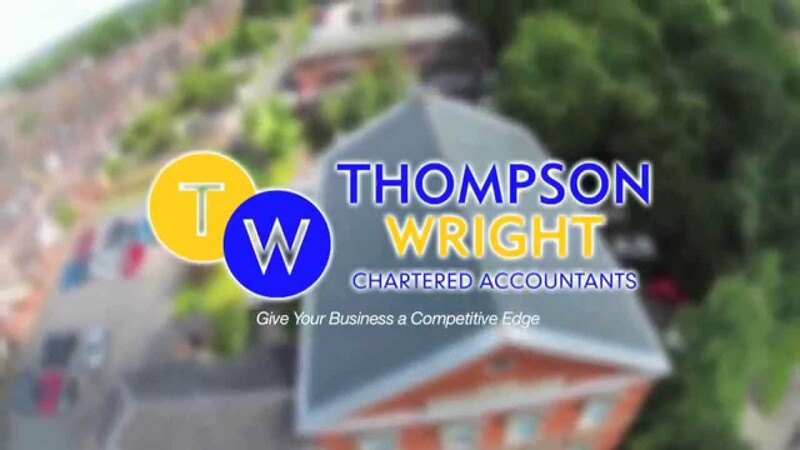 I have used the services of Thompson Wright for nearly two decades and during this time I have found their services to be second to none, not only providing bookkeeping and accountancy to us, but also providing meaningful and clear advice on our finances. Richard’s attention to detail is fantastic, allowing us to look forward and plan for the future of the company. Many accountants seem to simply look in the rear view mirror, however Richard has a clear eye on the road ahead too, removing the need for us to employ a business adviser and finance director. I’d challenge anyone to use Thompson Wright’s services and not be equally as impressed. Due to a take over you are no longer doing our payroll, disappointing to say the least as you have turned this around faster than all previous accountants, lets see if the new owners can do as good a job. We have had no issues with the payroll since Alison took over the role and the efficiency was brilliant. Once again thank you to your company for all the work done for Landon Engineering, its been a pleasure working with you. Bryan Enterprises Ltd T/A Security Services began life with a good deal of enthusiasm, a sympathetic Bank Manager and what has proven to be probably one of the best local accountants. "We find the ongoing support that we are provided with is a great help and it gives us the confidence to use Sage to it’s full potential as we are only a telephone call away should we have any problems or need any advice." A consistent professional service with a personal touch is very hard to find in any accountancy firm, but Keith Evans has managed to support us through a number of business and personal challenges with his sympathetic expert advice.